Sweet Potato is one of my favourite. In our Village, we cook these sweet potatoes, (sakkaravalli kizhangu in Tamil), by burning them on fire. we remove its outer burnt skin and eat the potato. As a Kid, i will be allowed near stove (viragu aduppu) only if i will eat a burned cooked potato(sutta kizhangu). It's so healthy Root too. 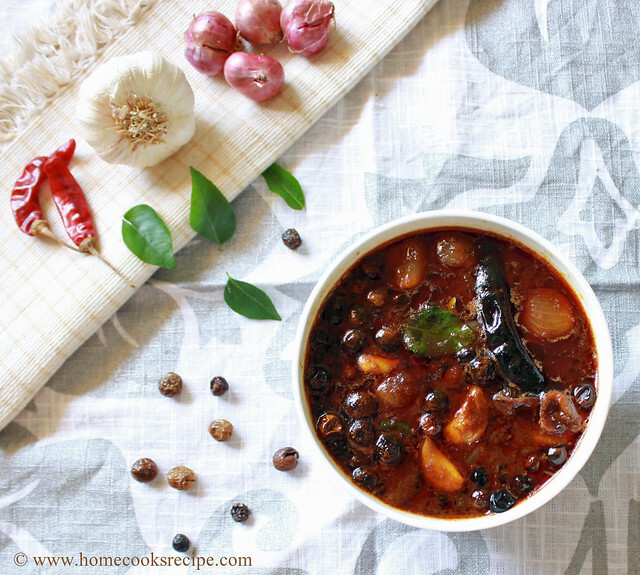 On moving to the city, i attempted cooking it on stove flame, but it did'nt taste as good as the one's cooked with viragu aduppu. The recipe, that iam going to share is very simple, but it will work Great. If you love sweet potato, then do try this for sure. 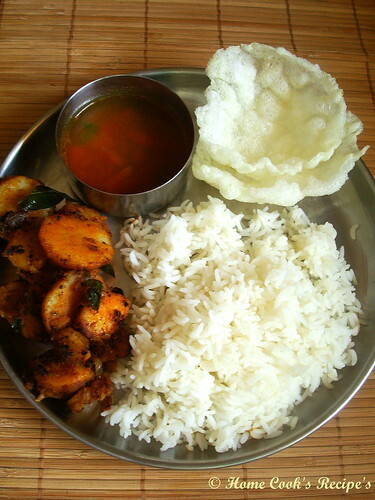 meal today, with rasam, sakkaravalli kizhangu poriyal. Chop one big red onion finely. Trim the Head and tail of the sweet potato and peel its skin. wash them. Chop them in round shapes and keep aside. they soon change colour, so you soak them in water, till it is to be added on to the pan. Heat a Pan, add oil & heat it. add mustard, let it pop. add curry leaves & roast it. 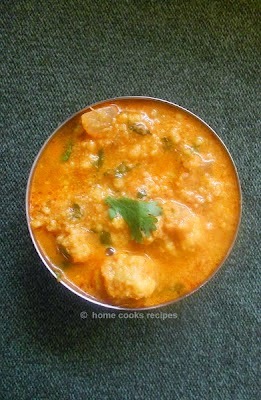 add 1/4 tsp asafoetida powder. Add finely chopped onion's and fry them, till they turn translucent. now add the chopped sweet potatoes and mix well with the onion's. add salt to taste and chilli / sambhar powder and mix well. Now add 1/4 cup water or to say add water, till the sweet potatoes could immerse in the water on the pan and close it with a lid and lower the flame. the sweet potatoes gets cooked within 5 mins in the water. now let the sweet potatoes get roasted in the pan for another 3-4 mins. make sure not to burn them. 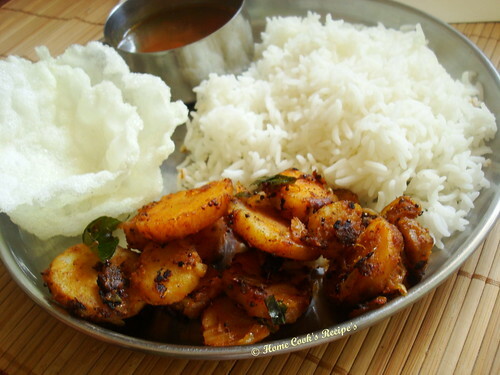 Serve this spicy sweet potato roast with sambhar rice or with morkuzhambu. i served it with rasam. that was a lovely simple meal we had one day on last week. sometimes sweet potato may be new and hard, so it takes lots of time to get cooked. so keep sprinkling water till it gets cooked. overcooking may result in mashy potatoes. Sakkaraivalli Kizhangu poriyal looks delicious. The color and texture on the kizhangu is making me crave for it. If i had this at home it won't reach the table each time i pass the kitchen i will be eating them straight from the pot. Looks so so delicous. Sweet potato fry looks awesome..love the color...pass me that wonderful platter...Yummy!!! I love this fry. My sis used to make this. Nice clicks lavi. The pic looks beautiful. Somehow, I never developed a taste for sweet potato....but I know what you mean when you talk about the taste of something that's cooked on fire. We cook nenthrapazham that way and eat it. 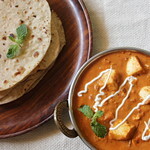 Feel like finishing that whole plate, its has been ages i have spicy version of fry with sweet potatoes..looks yumm!! 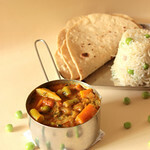 spicy potato curry looks so tasty..wonderful click of a very delicious platter. I am definitely not a fan of sweet potato but this recipe makes me think over. So simple and flavorful Lavi. Wonderful. Make me want to steal your plate with rasam, appalam and the poriyal. Love this recipe. Trying today. looks so yummy recipe for sweet potato..
cant wait to try out..
very nice blog and informative. Thanks for sharing with us spices in india make our food so taste and spicy. Lavi, thanks so much for the recipe. I always had known the health benefits of sweet potato : raises body immunity immensely , but never was able to cook in a yummy way until I saw your recipe. Now like any other vegetables like beans,carrot, cabbage I can cook sweet potato too in Native Indian style. Thanks a lot.